Steph Hollinshead may not be the first trainer you would associated with speedy two-year-olds but that didn't stop debutante Stoneyford Lane from winning the British Stallion Stud EBF Novice Median Auction Stakes over 5f 11y. This bay gelding, a son of Bushranger, looks a good yearling purchased by the trainer after being picked up from Tattersalls' October Yearling Sales 2015 for the sum of 7,000gns. Both horse and jockey battled in determined fashion as Royston Ffrench won in a photo from Kreb's Cycle, while Joseph Tuite's well-backed favourite Dontforgettocall finished a respectable third. Stoneyford Lane was outpaced in the early stages but rallied well in the testing conditions, responding well to his jockey's urging. A cheap purchase, but a solid type, he has some strength and looks sure to improve for his racecourse bow. Training at Upper Longdon, Staffordshire, this is Hollinshead's third two-year-old winner in the last five years. 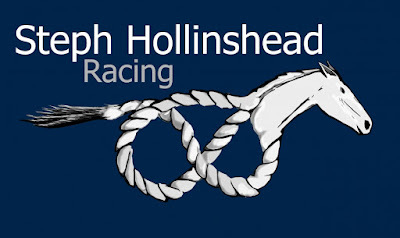 No stranger to success, her Grandfather was a legend within the training ranks, Reg Hollinshead. Stoneyford Lane could well be winning again.